Louisiana State rode the leg of junior place kicker Drew Alleman to a 19-6 victory over Mississippi State in SEC action at Starkville, Mississippi on Thursday. The Lafayette, Louisiana native scored from 42, 41, 29 and 21 yards in a defensive battle that saw the third-ranked Tigers defeat the Bulldogs for the 12th straight time, and 19th in their last 20 meetings. After two years as a back-up place kicker and kickoff specialist, Alleman has taken over both duties this season. A perfect season continues for University of Florida junior kicker Caleb Sturgis. The 15 points he scored were the difference in the Gators’ 33-23 defeat of the Tennessee Volunteers in the Swamp at Gainesville on Saturday. 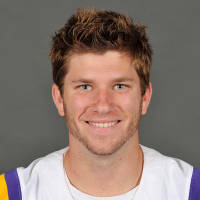 The St. Augustine, Florida native connected on field goals of 46, 42, 30, and 28 yards and converted three extra points. He added three touchbacks, giving him six on the season. He is 9-for-9 on field goals this season and has made all 12 extra point tries. 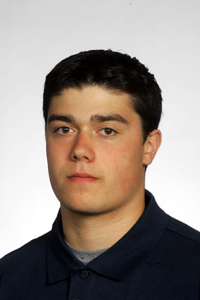 Last season, UConn’s Dave Teggart became the first kicker in Big East Conference history to connect from 50 yards or longer twice in the same game. The senior did it again Friday night in the Huskies’ 24-20 loss to Iowa State in East Hartford, Connecticut. It was a night of highs and lows for the Northborough, Massachusetts native as he also snapped a string of 12 straight field goals made, dating back to last season, when he missed from 41 yards in the first quarter. The 52-yard kick tied his career high. The Lou Groza Award will be presented as part of the ESPN Home Depot College Football Awards Show in Orlando, Florida on Thursday December 8th. The three finalists will be honored at the 20th Annual Lou Groza Awards Banquet on Tuesday December 6th at the Kravis Center in West Palm Beach, Florida. 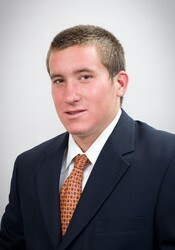 For more information on the Groza Award and the Palm Beach County Sports Commission, visit www.palmbeachsports.com.